Are you driving soon to Santos port? Need parking for when you get there? Then you have come to the right place! With ParkVia, you can find all the Santos port parking you need in just a few clicks of the mouse button. Finding a space is fast and simple. The open air and undercover car park is open 24 hours and insured. The car park also comes with a free transfer. So when you need Santos port parking remember to choose ParkVia where booking parking is fast and simple. The Port of Santos is located in the city of Santos, state of São Paulo, Brazil. It possesses a wide variety of cargo handling terminals—solid and liquid bulk, containers and general loads. 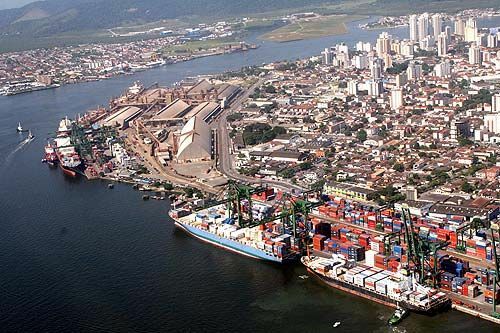 Santos is Latin America's largest port and it's structure is considered Brazil's most modern.